What do you do when you are in the middle of both lambing and calving? It’s obvious really. You add a few piglets to the mix. Yesterday we drove up to croft by Rogart and picked up four weaners to be fattened over the summer. The are apparently a Saddleback/Tamworth cross, though they look pretty much like Saddlebacks. And they are about 8 weeks old. They are in an ark full of straw with a small run whilst they acclimatise, after which they will have the run of the hill. As of this morning they are still settling in, nestled inside the ark and not really interested in either food or human company. I’m sure that will change quick enough. It certainly has for the pigs we have had previously. No doubt there will be more pictures when they have settled in. PS: Note the sunshine. It was glorious yesterday, about 18C in the afternoon. But it is much colder today. 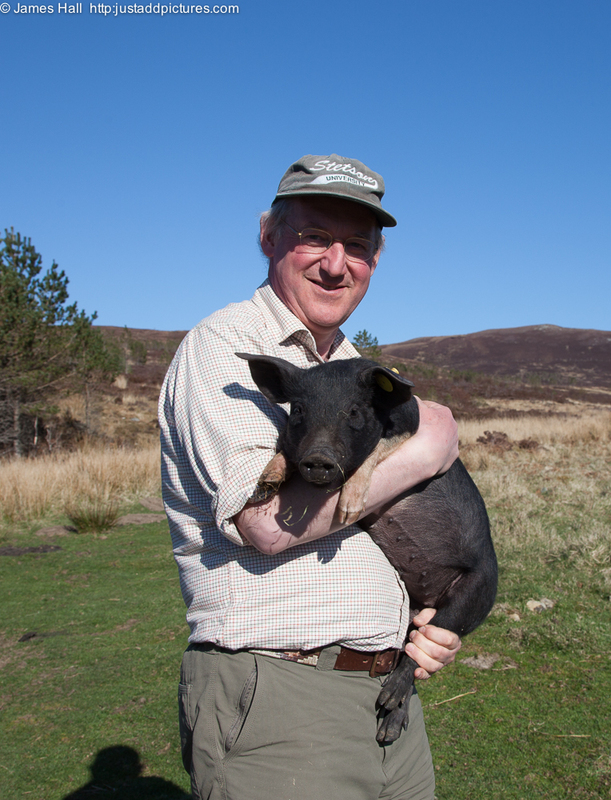 This entry was posted in Uncategorized and tagged Croick Estate, farming, piglets, pigs, Saddleback Pigs, Scottish Highlands. Bookmark the permalink.